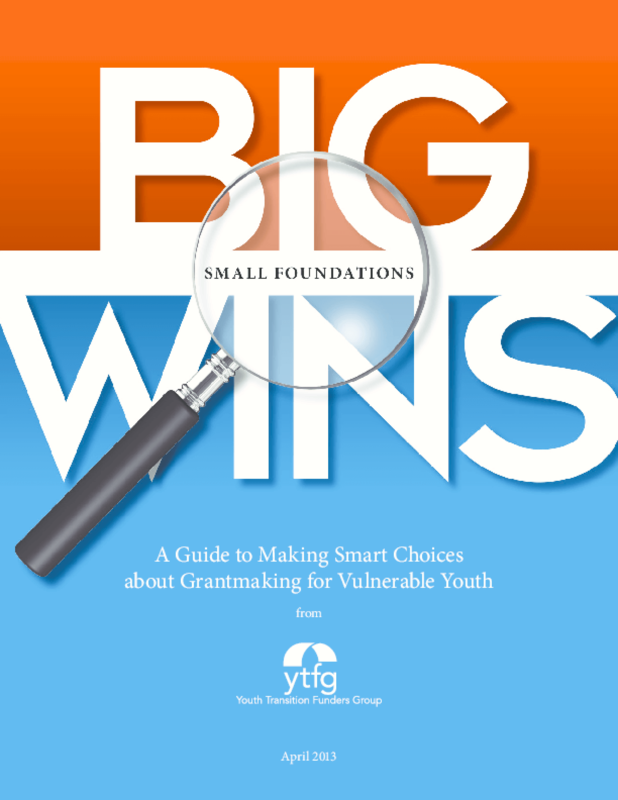 YTFG set out to document the attributes of successful youth transition grantmaking at small foundations by interviewing their members, fellow grantmakers, philanthropic advisors, and key partners. They researched and reviewed publications, articles, and case studies, analyzing the grantmaking strategies of small private, community, and family philanthropies with limited to no staff. This guide shares what the Youth Transition Funders Group, along with those in their network, have learned about how small foundations can make the most impact on improving the odds for our most vulnerable youth. Copyright 2013 Youth Transition Funders Group.